Price: $175 USD and up. 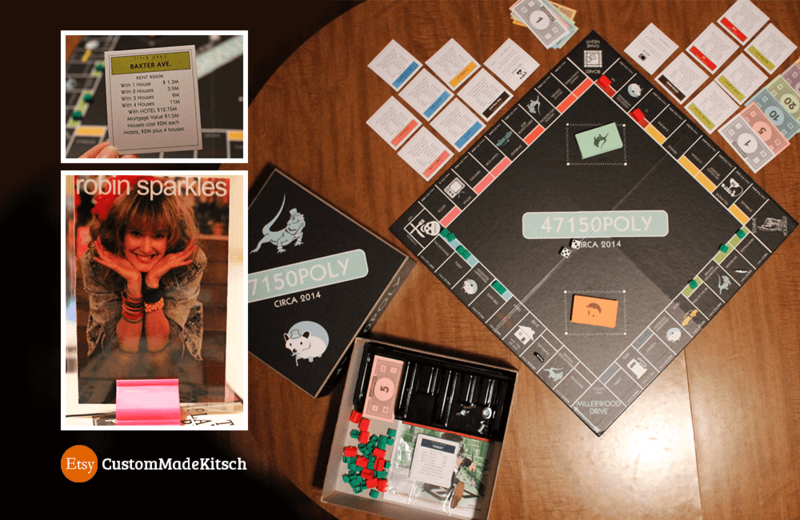 Monopoly is available in many versions, and now you can have (or gift) a customized Monopoly game at the Custom Made Kitsch Etsy store. Imagine that – a Monopoly game customized to a particular theme, colour, and properties of your choosing! If you’re more of a Monopoly purist, a slightly less expensive $175 USD option swaps out the laminated playing pieces and box for the standard pewter playing pieces and Hasbro’s “Monopoly with Speed Die” box. Chess enthusiasts looking to break out an ad-hoc game or two have a potential new option, Preset Chess.